Muscle soreness is an unavoidable side effect of strength and endurance training. After a hard workout, most people begin to experience soreness in the body parts trained within 24-48 hours. This type of pain is called “delayed onset muscle soreness” or DOMS and can last several days to a week. The primary cause of DOMS, according to most exercise physiologists, is from tiny tears that occur in the muscle as a result of high intensity exercise – especially resistance training. DOMS is a normal and expected outcome of physical exercise. The only way to eliminate DOMS is to avoid exercise. When you work out you literally “tear down” muscle tissue fibers. (These are microscopic tears -& very different from the medical definition of a torn muscle). During the days after the workout, the muscle begins to rebuild itself. However, the muscles must be given enough time to recover and as well as adequate nutrition. This rebuilding process creates a “new” muscle that is bigger and stronger than before. This is how the cycle of building lean muscle occurs. It is important to differentiate between the burn felt during/after the workout from the pain of an injury. Soreness should not become debilitating or prevent you from participating in sports or performing daily tasks. This type of “good sore” is a sign that the muscles were worked – & that muscle tissue was broken down during your training session. As a result, you will begin to become stronger and your muscles will grow. Dramatic changes to workload & intensity will bring on DOMS! matter how long you have been training to change up your workout routines often. Progressive overload is key getting stronger and building muscle. Each time you “shock your body” with a new workout program, new exercises, new techniques you’ve never used before or in a long time, expect the soreness to return. Sometimes the amount of soreness from a change in your routine can be severe. So remember to go easy the first day on a new program and build intensity gradually or you may push over that line from “good sore” to “bad sore”. Severe muscle soreness probably means you overdid it, which will happen from time to time. In most cases is not reason for alarm. If you train intently, you will be sore post work-out. The goal is to reduce the DOMS effects and keep to your workout schedule. WARM-UP/ STRETCH – The benefits of warm up before and post workout stretch are numerous and should never be overlooked or their value underestimated. Warm up and cool down properly and build your workout program gradually to minimize DOMS. REST: Remember, a little soreness is expected; it is a sign of a good workout and eventually the soreness will go away. Rest and allow the muscle groups worked to recover for a couple of days before working them again. MASSAGE/ Hot Bath / Heat / (heating pad) will sooth sore aching muscle and reduce inflammation and pain. WATER: Drinking extra water helps to flush toxins and other byproducts of muscle breakdown that occur during heavy exercise. VITAMIN C /E – antioxidants are proven helpful in dealing with muscle soreness and recovery. Your muscles produce more free radicals during exercise. Supplementation with antioxidants C & E will slow down the oxidation process, which in turn reduces fatigue and soreness. A healthy supply of these nutrients help to minimize pain the day after a workout and will speed the healing process. SUPPLEMENTATION: Glutamine and BCAA’s (Branched-chain Amino Acids) are known to assist in muscle recovery and repair. ANTI-INFLAMMATORIES: – (Ibuprofin) – like Motrin will alleviate symptoms for sure. I usually try to use these as a last option to the ones mentioned above. PROPER NUTRITION: The fuel we give our bodies have a significant impact not only on performance but also in the muscle building and recovery process. 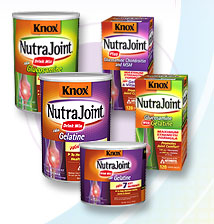 While proper nutrients will not prevent or give instant relief from muscle soreness, it is essential for the muscle repairing process. By consuming the right balance of nutrients before, during, and immediately following workouts, you can minimize the amount of muscle protein breakdown incurred during workouts and maximize the rate of post-exercise muscle protein repair and rebuilding. This principle is known as nutrient timing and is topic that will be discussed more in depth in future blogs. **If soreness persists many days, or you suspect an injury, see a doctor. Otherwise for mild to moderate exercise related soreness, some combination of rest, anti-inflammatory, hot water/heat, massage, and drinking plenty of water will handle it.